Arrival to Puerto Maldonado: Welcome and reception at the airport or bus terminal. Transfer to the boat wharf, Port Captain, located 15 min from both the airport and bus terminal. 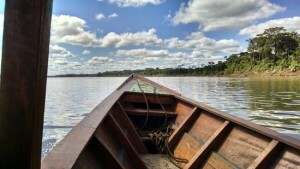 Begin the 1-hour boat ride to Amazon Planet while enjoying the wonders of the rainforest. We set off down the Madre de Dios River thru the heart of the jungle surrounded by flora, fauna and breathtaking scenery. 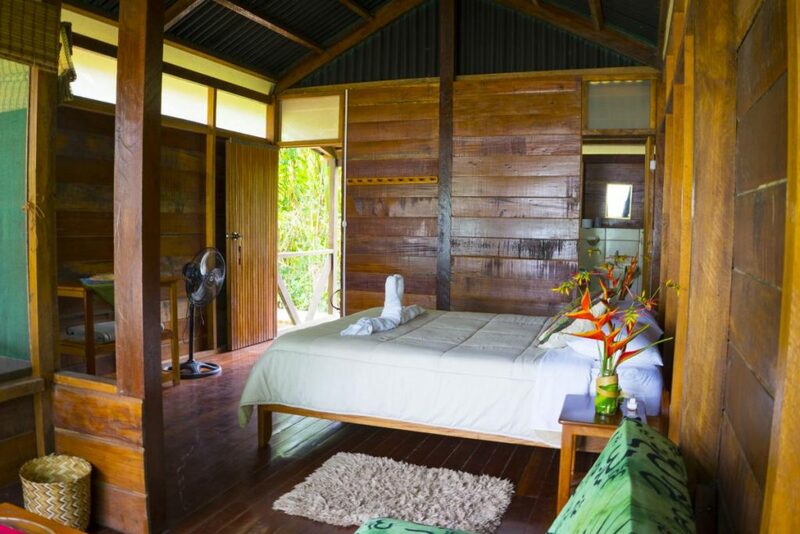 Arrive at Amazon Planet and settle into your private bungalow. Take a short rest before meeting with your guide followed by an introduction walk around the lodge and its trails. Winding past giant Kapok trees, walking palms and strangler figs while being dazzled by the sounds of native birds. Return to your bungalow for a rest. Before dinner you may choose to take a walk with your guide and experience the jungle as it transforms from day into night making way for nocturnal animals and birds especially adapted for the dark.Return to the dinning hall with your guide for your first dinner in the rainforest and enjoy a typical meal from this region. 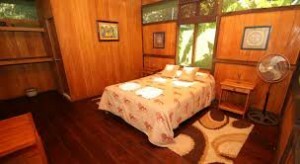 After dinner you may return to your bungalow or meet with other tourist and share your stories and experiences. ainforest. 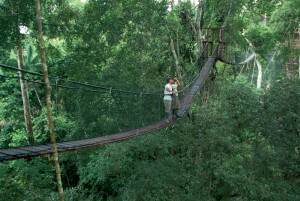 Located 45 meters high up in the crown of an ancient Kapok tree and connected by a 90-meter long suspension bridge. Catch a glimpse of flying Macaws, parrots Toucans or the infamous Harpy eagle; the views from this platform are truly unforgettable! Continue into the reserve until we reach the animal rescue center where you will encounter many different wild animals including a jaguar, Puma, toucans, macaws, spider monkeys, howler monkeys, jaguarundi, bush dog, tapirs and more. 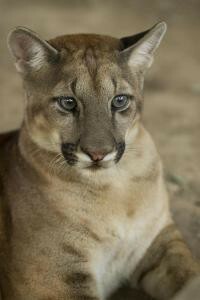 These animals are in the process of rehabilitation before being released back into the wild. Stop off at the Butterfly house before returning to the lodge for lunch. Take a rest after lunch before venturing off on the 25min walk to the Agroforestry farm and visit the reforestation projects of mahogany, cedar, cocoa, coffee and tropical flowers. Visit the Taricaya turtle project and its artificial beaches. Return to Lodge and rest before we finish the day’s activities with a caiman search along the rivers edge in a motorboat under moonlight. 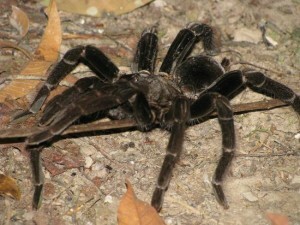 Search for white caiman, black caiman and spectacle caiman as they lay along the rivers banks at night. Return to the lodge for dinner. 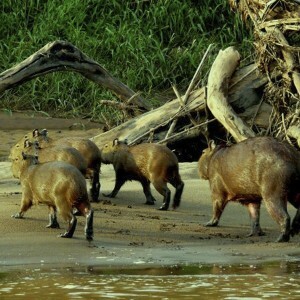 Have an early Breakfast before traveling by boat upriver for 45 minutes to the entrance of the Tambopata National Reserve and begin the trek to Lake Sandoval. 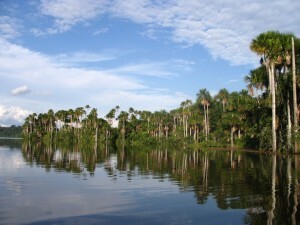 Paddle in a rowboat around the pristine mirror like lake and enjoy the beautiful scenery with the opportunity to observe a variety of wildlife such as the endangered giant river otter, howler monkeys, macaws and black caiman. Take a snack by the waters edge before continuing around the lake. Finishing with a walk back to the river where we board our motorboat and return to the lodge. Lunch and rest. 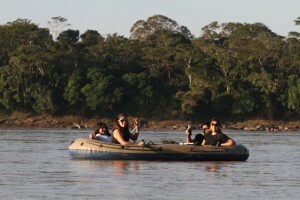 Navigate the Madre de Dios River in your own inflatable boat with the opportunity to see turtles, monkeys, herons and other birds with a beautiful backdrop of the sunset over the river. End the day with a Farwell dinner. * MAIN HOUSE: At the entrance of the Lodge is the main common area. Here we have the kitchen area to prepare the delicious food that you will enjoy in the dining room area. Here you can also find our Gift Shop. * EL TUNCHE BAR: Inside the main house we have the bar area, to enjoy a variety of drinks (alcohol and non-alcoholic) and snacks, lay back on the sofas to relax and enjoy a good book or a board game on your free time. * HAMMOCK AREA: Just outside of the Main House, rest and relax observing and listening to the nature around you. 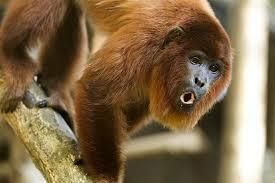 * BUNGALOWS: We have 14 independent bungalows all with private bathroom and terrace. We have matrimonial suites with river view, standard double, twin, triple and cuadruple rooms. * WARM WATER: Under your room there is a gas heater for you to have warm water in the shower. Please notify the staff if there is a problem with it or if you prefer cold water. * DRINKING WATER: You have a complimentary pitcher of water in the room upon your arrival as well as a water cooler at the main house. You can also buy bottled water at the Bar. * SHEETS AND TOWELS: To help us save water please inform the staff the next morning if you need sheet or towel change. * Each room has a fan and outlets to charge batteries, cameras etc.We please ask you to turn off the lights when leaving the room and unplug any chargers when not in use. Please do not use electric devises like hair dryers or hair straighteners due to the excessive energy consumption. -LAUNDRY SERVICE: Please consult staff in regards to laundry service. There is a cost per kilo. -MEALS: We offer an established menu consisting of a first course, second course, dessert and natural fruit juices. Breakfast is served 1 hour before your scheduled activity. Lunch is served at 1:00pm. Dinner is between 7:30pm and 8pm. You will find the daily menu printed at the dining room. Please let us know in advance if you have any food restrictions. We do offer a special menu according to dietary requirements. -COMMUNICATION: We are happy to say that we do not have telephone or internet access at the Lodge so you are able to disconnect yourself from the routine and enjoy the peace of nature. There is a spot in the Taricaya Reserve where we get signal in case of emergencies. – FOOTWEAR: Around the Lodge: We recommend you wear hiking boots, sneakers or any closed shoes. Inside Main House and your room: We please ask you to take off any footwear, you can be barefoot, wear socks or sandals/flip-flops. 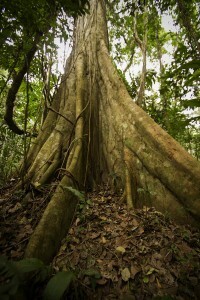 In the jungle: We recommend wearing hiking boots or rubber boots. We have a variety of sizes to lend you at the Lodge or you can bring your own if you prefer.